Anna describes how one day, in a writing workshop sponsored by The Reader Berlin, she was given an assignment to write on the mythical “Adaro” creature. Based on her having worked in several different startups at the time, she “ended up fashioning this…merman-like spirit into a hyper-exercised, hyper-optimized boss character,” who acts as a negative force in the life of the protagonist. This, she says, relates to the overall theme of animals in her story, and the degree to which they’re found throughout the piece. 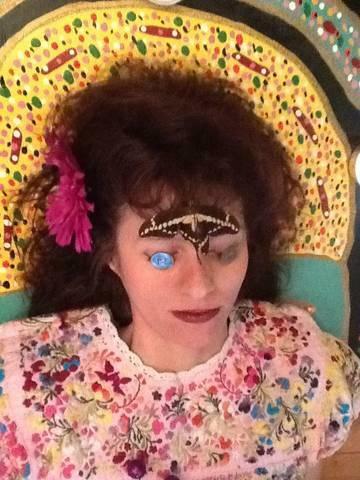 You can read Anna’s story, “Natural People,” in Issue 21 of Superstition Review. Gary Snyder writes of how artists can “join in the defense of the planet and wild nature. ‘speaking on behalf of nature’ in the ancient way” (Writers and the War against Nature, 63). Is it the ancient way to call the animal a creature? Is “speaking on behalf of” to “speak for”? by landing on a clover “plank,” Dickinson refrains from putting words in the bee’s mouth. with a human’s reaction to a strong wind. “Freight” is merely material, the wind’s weight. interiority but only her own. She neither projects her feelings onto the bee nor personifies him. “Alas” but she acknowledges the word’s status: She’s close enough to hear that she can’t hear. The bee is “not”: not her, not a fellow, not a figure for the writer, not like a human. Not cute. We do not “personally” know this bee by the poem’s end. That is what she bears witness to. This poem-blog was inspired by the study Surface Encounters: Thinking with Animals and Art, by Professor Ron Broglio in the Department of English at ASU, and the author thanks him as a pioneer in the field of literary animal studies. The Dickinson poem quoted is Fr1297. 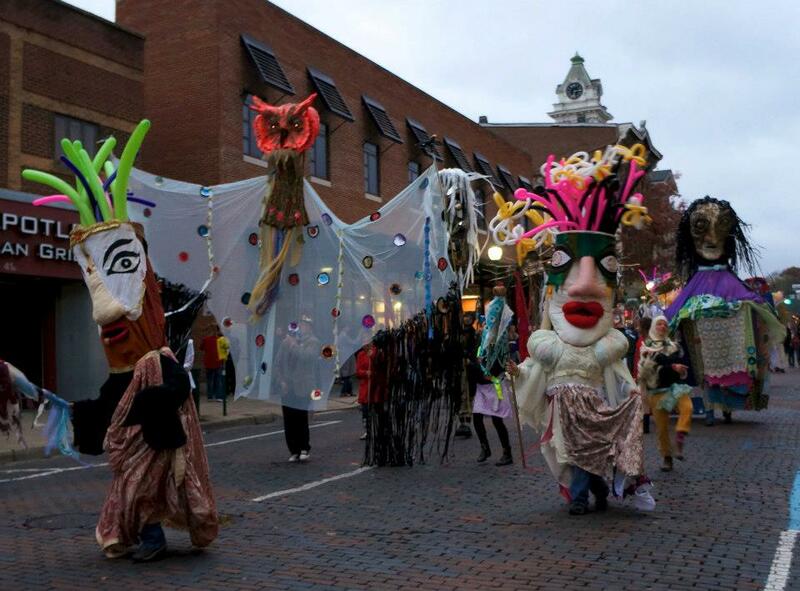 Before I tell you about the puppet parade, let me tell you about my past two weeks. I was stressed, and as I told a friend, “feeling under.” I alternated between 1) accidentally waking an hour before my alarm and then—afraid to waste time—reaching for a stack of papers to grade and 2) sleeping until 8:30 and feeling guilty for it. Each day I needed to accomplish three tasks, but then one of them ate up all my hours until suddenly it was bedtime. I struggled for days to get to the grocery and in the meantime had cereal for dinner. When I finally bought a carton of eggs, I dropped them in the driveway and five cracked. I know that a month from now, I won’t even remember the frazzle of these two weeks, and I know that other—truly sad—stories have taken place or been written down in the past 14 days. But yesterday I was concerned with my story. I vented (whined?) to an artist friend over coffee. She, too, had been feeling under. One of the projects that had kept her busy was to paint a puppet. 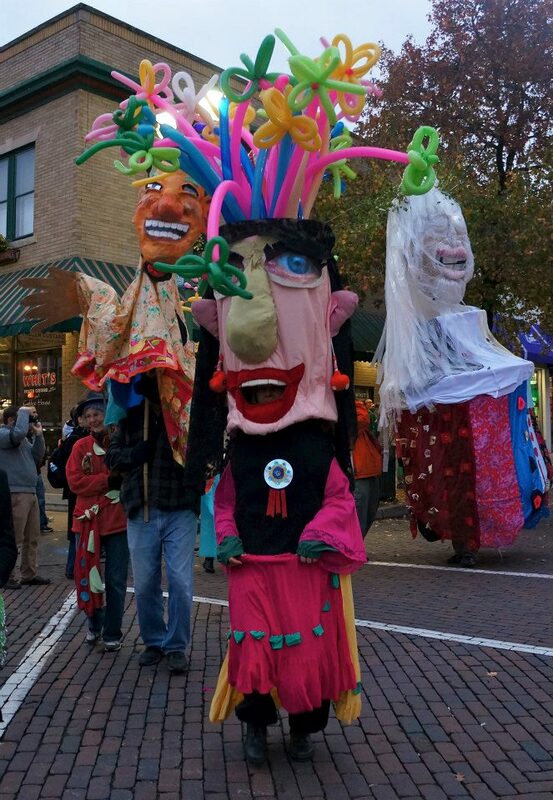 Apparently, while I had been rushing around, a group of artists had recruited dozens of townspeople and together they were recycling old materials into twenty enormous puppets. The next night they’d march them in their own parade. I was too curious to grade papers, so I left the coffee shop and went to the artists’ studio space. So far they had constructed: a fluorescent orange owl in a dress; a giant red vulture head wearing flowing strips of garbage bags; several six-foot tall “talking” skulls with Christmas ornament eyes and mirror teeth; a gauzy whale; and imaginary animals with VHS tape clothing. I spoke with one of the leaders as he measured some scraps of wood. He said about 70% of their supplies were leftovers, things other people had trashed. Of course, I thought about writing. A lucky trick writers have is that we can take a crummy, or disappointing, or even heartbreaking real-life experience (or pair of weeks) and use it to make something new. We can—at least in part—redeem it, give it purpose as material for creating. And then some good has come from it. This answer was enough to get me signed up as a volunteer puppeteer for the parade. 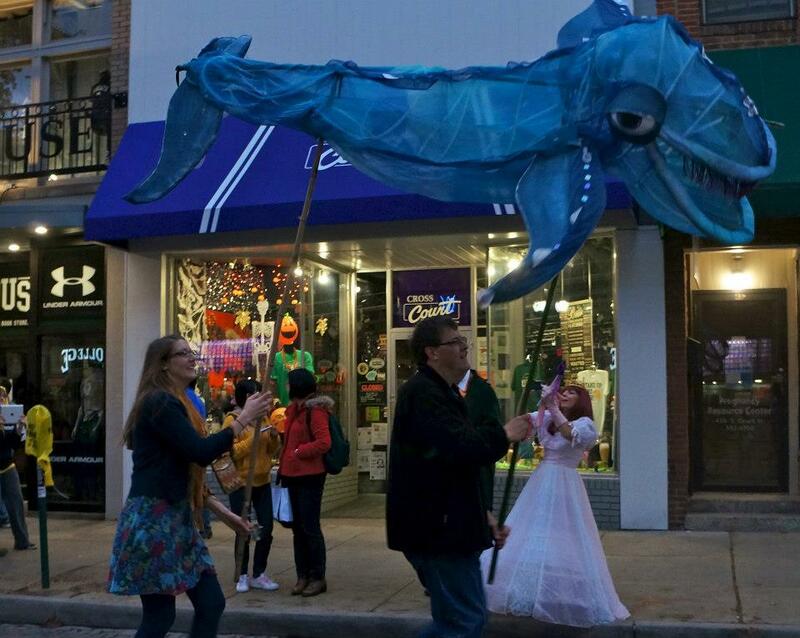 And so this evening I led a line of fanciful creatures down the main street of our town. I wore a huge praying mantis whose arms and legs moved with mine. Cloth people with balloon hair hopped behind me, the birds flew on poles, the whale swam circles around us, and the metallic lion heads bopped in time with the snare drum. As we processed through downtown, kids climbed onto their parents’ shoulders to see and college students cheered from their apartment balconies. When people noticed us through coffee shop windows, I waved a mantis hand to them. 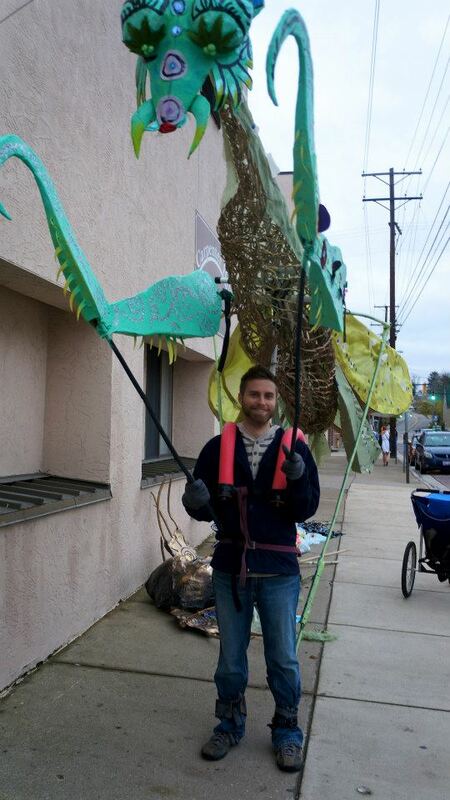 I picked up my insect legs, which were made from bamboo shoots and tied to my ankles with old bike inner tubes. In the heavy green body—made from styrofoam swimming pool noodles, PVC pipe, wire tomato cages, and packing cardboard—I shuffled lightly. And my shuffling grew into even sort of a samba step by the time we paraded back to the studio entrance, where the snare drummer played softer and softer as if not wanting to end it, and we all danced in place on the sidewalk, each of us trying to stall before we had to take off our puppet costumes. You are engaging a meditation on your death. Perhaps you broke the law, but it was an old law, a lost aria, unenforced. You are held in the residue and ascetic disaffiliation. 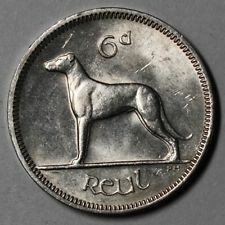 Sleep’s epitaph, your eyes guarded by sixpence, silvered shine of wolfhounds. At the feast, they set a place for you among the dead. Cold stars languish under your crane-skin dress. Hornet’s nest kept in your hair’s gust. Inexplicable speech. Moth light over gray meadow. You taste the hum in the walls where mule stood over the glass riverbank. Sparrow stasis. For each animal there is a trade. There is a wormhole upon the forehead, bonfire constellations, maggot conscience. You’d been walked between bonfire’s remains, the dappled throng. Through the small barn window you saw the blistered flank of the fur-licked cattle. Belief in the body is attempted, form found without words, form given. Leaving the mind starts out as a little joke. Here, Spiritism is a woman riding a colt; the space toward which she is moving is an immeasurable dark. How did you think things would improve? She gives night the permission to erase the host. Your architectures had always been enough, and perfectly therein.